I'm nearly done with watching the classic Doctor Who series. I started with the episodes that aired on BBC in November 1963, and have seen every episode -- or reconstructions of missing episodes -- since. I've just finished Season 24, which was Sylvester McCoy's first as The Doctor. Before I get into that, there's a little matter of some off-screen events that impacted the Doctor Who universe. Between the end of Season 23 and the start of Season 24, Patrick Troughton died. He had made what would be his last appearance as The Doctor in Season 22's The Two Doctors, reprising his role and playing opposite Colin Baker. During the off-season, he had appeared at a science fiction convention here in Columbus, Georgia, and died of a heart attack during the convention, on 28 March 1987. I mentioned in my Season 23 wrap-up that Colin Baker was fired from the show after that season completed. The reason was that the Controller of BBC One was displeased with the tone of the show, and a complete overhaul was planned, including replacing Baker as The Doctor. BBC offered Baker the opportunity to film a regeneration scene in the first serial of Season 24, but he counter-offered to do the entire season, concluding with a regeneration, because he would have missed out on other work by taking a short-term role. According to one interview, he never heard back from BBC about the counter-offer, and the season opened with a regeneration. Time and the Rani (4 episodes) featured a cold opening, only the third time this had happened, after Castrovalva (a repeat of the regeneration from Tom Baker to Peter Davison from Logopolis) and The Five Doctors (William Hartnell's farewell to Susan from The Dalek Invasion of Earth). 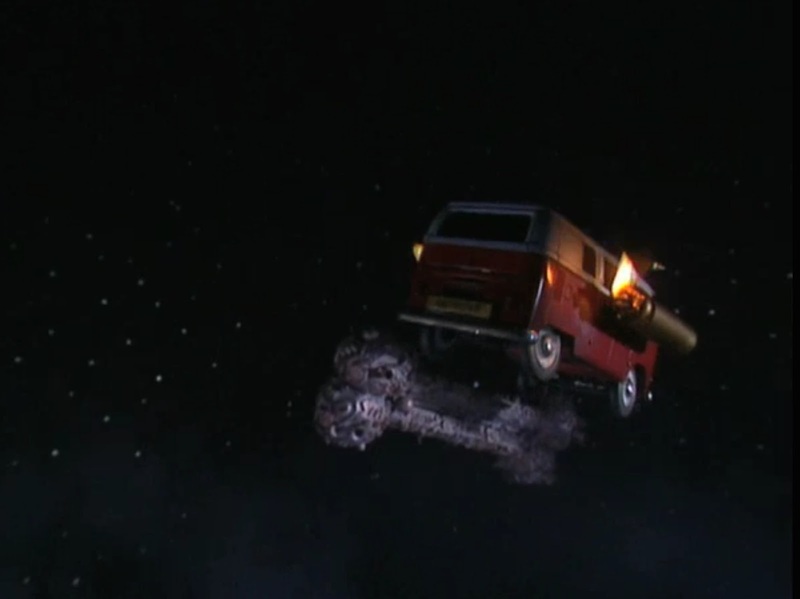 The cold opening shows the TARDIS being attacked and finally landing on a planet. The Doctor and Mel are crumpled on the floor. The Rani enters and has her henchmen secure The Doctor. When they roll him over, he is in the midst of a regeneration, and resolves in Sylvester McCoy's likeness. For the scene, McCoy had donned a wig and lay on the floor to play the unconscious Doctor (6.0), making him the only actor to play two incarnations of The Doctor (6.0 and 7.0). Time and the Rani was the first full stand-alone serial to feature Melanie Bush (Bonnie Langford), although she had appeared in Season 23's The Trial of a Time Lord: Terror of the Vervoids. Since Mel had obviously joined The Doctor during his sixth incarnation, and the series was now into his seventh incarnation, the plans to actually have a full introduction couldn't be realized. The only other companion who didn't have an introduction episode was Susan, who was already with The Doctor, her grandfather, when the series began. Delta and the Bannermen (3 episodes) was Mel's penultimate episode, but caught my ear from all the oldies music playing. 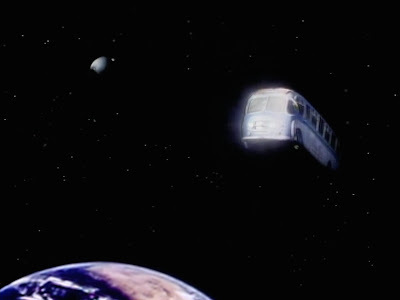 My eyes caught the time-traveling bus in space looking a little like Pearl Forrester's space van from Mystery Science Theater 3000. Mel was definitely an 80s girl, with big shoulders and big 80s hair. And a screamer. Bonnie Langford was a child star in the U.K. and had played Annie on stage in that country. She was 22 when she first appeared in the role, making her the first companion born after the show was first broadcast. The first episode of Doctor Who aired in November 1963, and Langford was born in July 1964. Although some fans of the show didn't like the character, Colin Baker once called her one of the most professional actors with whom he had ever worked. 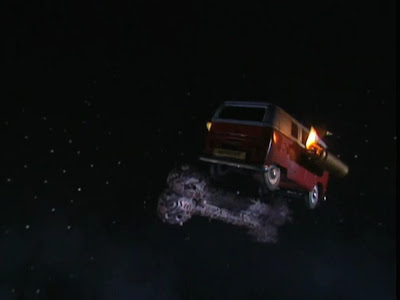 Langford left the show at the end of the season, with the character Mel deciding to leave The Doctor and travel with rouge spaceman Sabalom Glitz. Dragonfire (3 episodes) featured a chance encounter with Glitz, whom The Doctor (6.0) and Peri had encountered in Season 23's The Trial of a Time Lord: The Mysterious Planet, and The Doctor (6.0) and Mel had dealings in that season's The Trial of a Time Lord: The Ultimate Foe. The Doctor picked up a new companion, Dorothy Gale McShane, who went by "Ace" (Sophie Aldred). Despite Ace being younger than Mel, Alred is older than Langford. Ace was sixteen when she began traveling with The Doctor, though Alred was 26 at the time. Sylvester McCoy's portrayal of The Doctor featured his carrying an umbrella, as Colin Baker's had done, carrying many things in his pocket, as Tom Baker had done, and taking a more comedic approach, as Patrick Troughton had done. The short season meant not much time to learn much else about this incarnation of The Doctor, although he was immediately more likable than his previous incarnation. And, we only have two more seasons to go.